The NEW Kirkland Signature Golf Ball Review: MAIN RIVAL of the Pro V1! The Kirkland Signature Golf Ball: Is it worth the hype? The Kirkland Signature golf ball, which is sold by Costco, has received a lot of hype lately. When Costco announced that they were producing a high performance golf ball at an affordable price, amateur golfers went nuts. 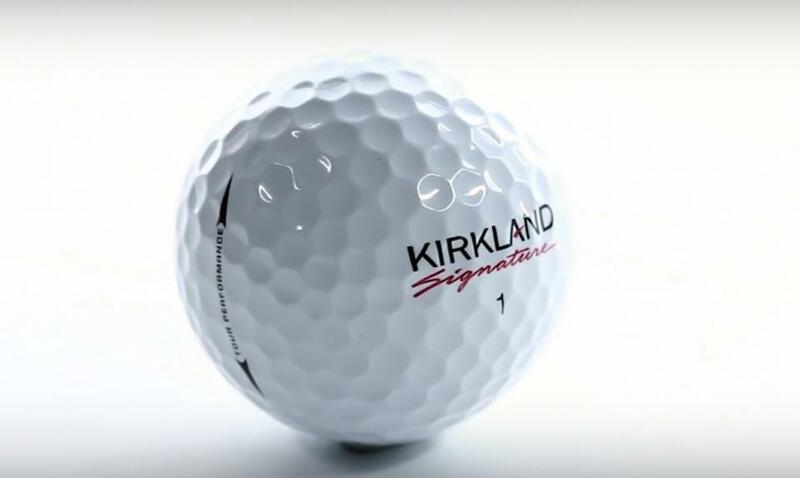 The golf ball sold out at Costco after its initial release, prompting Costco to publicly apologize to consumers for under-producing the Kirkland Signature. Costco then restocked its shelves on December 20th only to sell out AGAIN!! 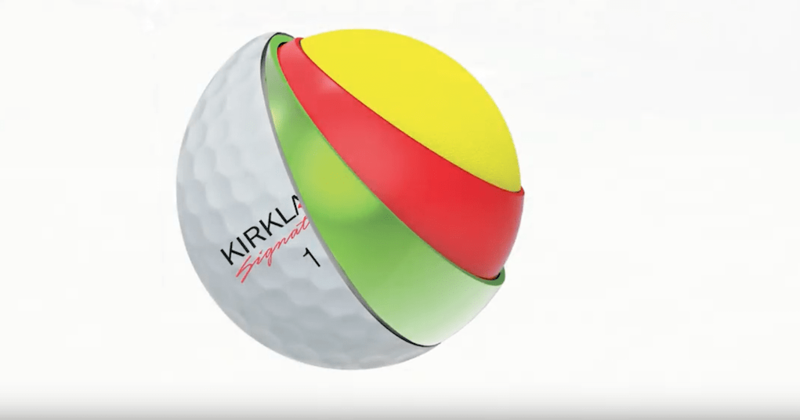 I initially thought the logic of the Kirkland Signature golf ball was all about convenience. In other words, you can get tires, milk, and a T.V. 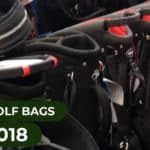 at Costco, so why not shop for golf gear there too? I was dead wrong. The hype is real and it is justified. Let’s get into why people love this golf ball so much. The Kirkland Signature golf ball is a high performance tour quality golf ball. 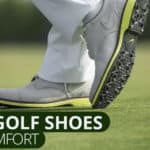 It is meant to rival the very golf ball that tour players use to draw the ball around trees on a dogleg and make the ball moonwalk on the green. 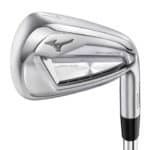 However, unlike similar products (Pro V1, Pro V1x, Tour B330, etc. ), the Kirkland Signature golf ball is priced well below its competitors. While Titleist sells a dozen Pro V1 golf balls for $48 plus tax, Costco sells two dozen Kirkland Signature golf balls for $29.99. The Kirkland Signature golf balls sell for approximately $1.25 per golf ball. This is significantly less than similar golf balls, which typically average $4.00 per ball. Although hitting a $1.25 golf ball into the trees or a pond isn’t as costly as losing a $4 golf ball, there’s more to golf ball selection than price. It is important to remember that you should be choosing a golf ball based on your game. You should never choose a golf ball just because it’s cheap. Kirkland Signature golf balls are high-performance high spinning golf balls. 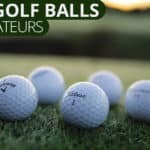 If you’re game isn’t ready for a professional golf ball (hint: it probably isn’t) than these may not be the best golf balls for you. However, we realize that they may be impossible to resist. As we mentioned before, the Kirkland Signature golf ball is a high-spinning high performance golf ball on par with the Titleist Pro V1. This golf ball is meant for excellent golfers who consistently shoot in the single digits (1-9 over par in 18 holes). This golf ball is not meant for the 19+ handicapper, the 18 handicapper, or 14 handicappers. This ball is meant for golfers who intentionally work the ball from right to left (or vice versa) and shape shots with a controlled and quality golf swing. In sum, stop being so upset that this golf ball is sold out, and go buy a Bridgestone e6! Let’s take a look at what the Kirkland Signature golf ball brings to the table. This golf ball model is focused on providing the low handicap amateur golfer with a high-spinning high performance golf ball that can be shaped from tee to green. This golf ball is likely most similar to the Titleist Pro V1 in terms of performance at less than a third of the price. 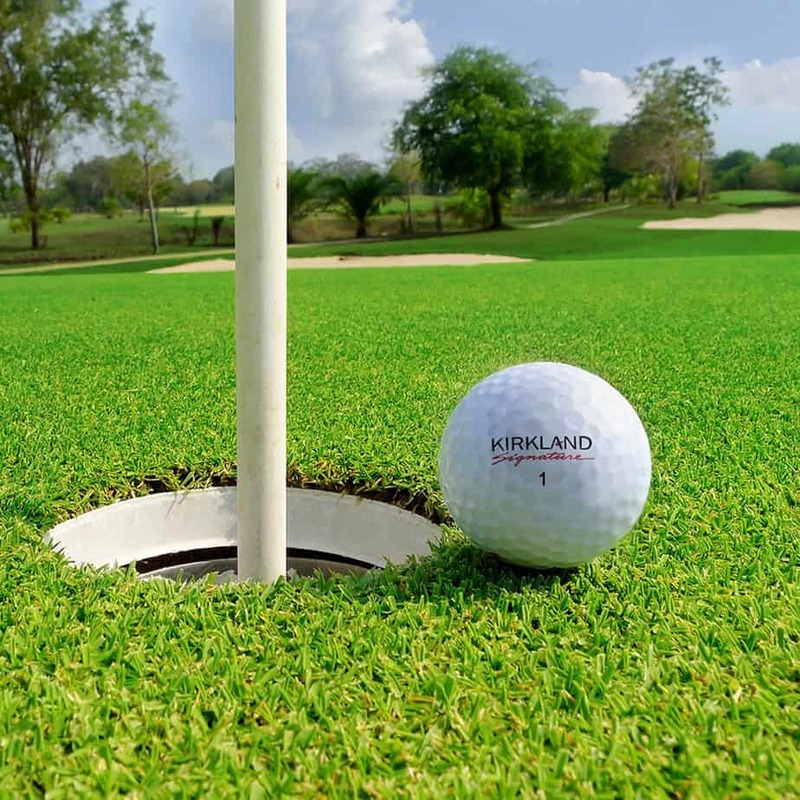 The Kirkland Signature is specifically designed with a large core to maximize distance without giving up any control. Typically, high spin golf balls are tough on golfers with slower swing speeds because the technology that contributes to the high spin rates, by its very nature, sacrifices distance. 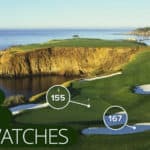 However, the advantage of a four piece golf ball is that Kirkland can offset the drawbacks of trying to maximize distance or spin by adding counterbalancing technology. The shell of the Kirkland Signature golf ball is made from urethane. Urethane is the same type of shell used for the Titleist Pro V1 golf ball, and arguably, offers the softest feel of any cover substance or blend. This soft shell is usually found on high end golf balls intended to maximize spin and feel. However, don’t expect this ball to hold up if you hit it into the trees and/or the cart path frequently. Urethane covers are a bit more susceptible to damage due to their soft nature. Remember, a scratched up and rough surface golf ball compromises the flight of the ball and its responsiveness to the golf swing. Playing a damaged ball is like swinging on one leg. It can be done, but don’t expect it to be consistent. The Kirkland Signature golf ball has a 360 dimple pattern to maximize spin and to create a penetrating ball flight. This dimple design by Kirkland Signature helps the golf ball reach an optimal trajectory while increasing the spin rate. That’s what you get on the outside, now let’s discuss the inside. The core of the Kirkland Signature golf ball is a large and soft core. 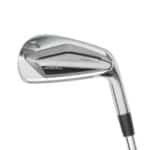 This feature of the golf ball assists players with slower swing speeds to maximize the velocity of the golf ball as it leaves the face of the golf club. The large core prevents energy generated from the clubhead impacting the golf ball from being lost while the soft aspect of the core allows for maximum compression. The Kirkland Signature golf ball features a mantle that is intended to reduce driver spin while increasing the soft feel of the golf ball at impact. What many golfers find with two piece ionomer golf balls is that they feel “clicky” or rock-like when you strike them. The mantle in the Kirkland Signature is meant to prevent the golf ball from ballooning into the air off of the tee (due to lots of back spin on the ball) while allowing the ball to zip when hitting your wedges. The outer core of the Kirkland Signature golf ball is also meant to affect the feel and spin of the golf ball. The advantage of a four-piece golf ball is that the manufacturer can counter balance different properties of the ball to create an ideal universe of factors in the final product. The outer core is a rubber core with varying thickness depending on what the golf ball is designed to do. In the Kirkland Signature golf ball, it is designed to provide the playability and feel that we all desire without sacrificing distance. If you can find the Kirkland Signature golf ball in stock, go buy two boxes. Priced WAY below where it could be, this golf ball delivers everything that you get out of the Titleist Pro V1 at less than a third of the cost. The only reason not to buy this golf ball is if you are a mid to high handicapper who does not need this much technology on the course. Any reasonable golfer will tell you, just because the pros play the Pro V1, doesn’t mean that you should. In fact, it probably means that you shouldn’t! But let’s be honest, when we find a Pro V1 on the golf course we get excited, because we want to play what the pros play. At least with the Kirkland Signature golf ball, you won’t be hitting a meal at a burger joint or two gallons of gas into the woods every time you slice it off of the tee. To check out some of our other golf ball reviews, please click here. For the high handicapper…this ball does not punish you for swinging as hard as you can off of the tee.